Last night in Chatbox I asked Lucy and Jer how would they feel about getting a Book together on or about pd... let be a funny, serious, sad story or poem whatever comes into your head..we think it is a good idea and if any of you guys would like to tell your story please let us know.. Respect for the elderly absolutely, yes we will be there one day.. Here Here JB I agree we have to respect the elderly because we will all be there ourselves some day. Myself and my husband looked after my father in law who was 90 and confined to bed for two years before he died. Our children were only 6 mts and 4 years old at the time and my husband was still trying to hold down his job. It was hard work and there were times when I just sat down and cried. But We just couldnt put him into a nursing home. It must be one of the hardest decisions a son or daughter has to make. Are you listening to JB Marie get your thinking cap on or better still hide the golf clubs and let hubby put it on. It is such a treat to come to this site and find new thought provoking postings. Good Writing Katie, is your last name Keats. Such Parky Malarky Marie, I'm expecting you and your hubby to come up with a major work of poetry this week for our reading pleasure. Lucy, such a find that poem is. I can see that. I often see an older person and I imagine the memories that person has in their mind. How they were in a 1 room school, milked cows by hand, fell in love, made love for the first time ever on their wedding night, went to war, discovered Telegraphs, telephones, got electricity into the house, Had Babies, got a car, TV, visited Ireland , got a coloured TV, started declining years, has trouble walking, something doesn't feel right inside........... I look at an old man struggling to cross the street and think of how once he would of scrambled across, quick as squirrel. He grew up in Halifax,& during WW1, a munition ship (Canadian moment in history) blew up in the harbour and levelled a huge section of the city including his house. He lived in a relatives garage for a year. Joined the Halifax police force and then the RCMP. POsted to an area of Alberta, he did his duty by horseback in the summer and dogsled in the winter. One day the dogs wouldn't cross the frozen river. He encouraged and shouted and made them cross but out onto the ice he realized why they were hesitant as the sled broke through the melting ice. He awoke on the other side wet and in the tent of Indians who were treating his frost bitten feet which he suffered with to the end of his days. He talked a lot, I soaked it all up. I realized that when this man dies, he will take a treasure trove of stories to his grave, but to most people, he was just an old nondescript, dottering man, holding up a lineup or whatever. Every senior you meet, has a life story that is worth listening to. Bottom line, like Lucy's poem, that old person with all the frailness of age, are real people full of memories and experiences. And we all will be there one day. Respect them! 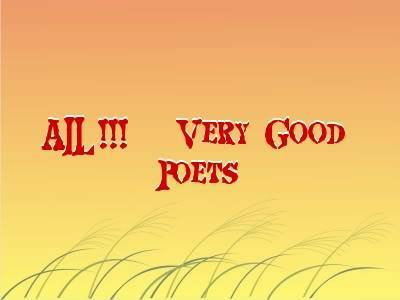 Your poetry certainly makes me smile about this parky milarky! This PD lark is no fun, why me, why you, why anyone? I though that it might go away, if I ignored it, but its here to stay. My walk is wobbly, my mind's a blank, was I really meant to go to the bank? With limbs that ache, and sleepless nights, I've not been out dancing,(what a sight)! Hey wait now, must stop feeling sorry,I have no need to fret or worry. We can't be happy all the while. I'll write a rhyme, make someone smile! This PD lark may be no fun. But WHY NOT me, or you or anyone! Such a stark poem, so sad but so true. Its one of the most moving I've read and one I think every woman will identify with if they live to be old. Who do you see nurses? who do you see? Uncertain of habit and far away eyes. When you say in a loud voice "Oh i do wisy you'd try"
Patsy, you are so good with that stuff. 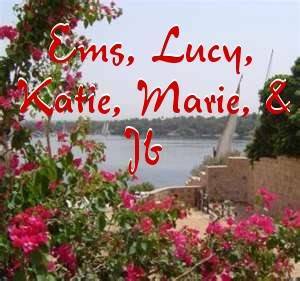 Katie and Lucy, I wanted to say again that your verses are very good. You are really clever with your illustrations Patsy and thanks for including me with "the poets" but we both know I'm not. Like you, I can't make anything rhyme! Really applaud their contributions though. I could not get two lines to rhyme, even if I tried. Very good Katy, Lucy..very good, are you going to put that one on T shirts or bookmarks? Like that one Lucy. Never been keen on dusting and even less so at this stage in my life. Dust to dust is a very sobering thought. Good writing Patsy and Katie. If I could put those writings onto my t shirts, it would save a lot of explaining. Thanks for sharing Patsy, brilliant piece of writing! Nice find Patsy. I think it has been written by a woman because its so full of emotion. No offence jb-you strike me as being a very emotional person, well able to express feeling and that's good in a man but its not typical of the male species. Very moving piece of writing and again one we can all identify with. That is just brilliant, trouble is you definitely need a big box of tissues nearby! I have Parkinson's disease. It is not contagious or hereditary, no one knows what causes it, but some of the dopamine cells in the brain begin to die at an accelerated rate. Everyone slowly loses some dopamine cells as they grow older. If the cells suddenly begin to die at a faster rate, Parkinson's disease develops. It is a slowly progressive disease usually occuring as people get older. Medicine can help. I'll take newer, stronger kinds over the years. Some make me sick and take lots of adjustments. Stick with me, I have good days and bad days. EMOTIONS: Sometimes I cry and appear to be upset and you think you have done something to hurt my feelings. Probably not. It is the Parkinson's, Keep talking to me. Ignore the tears. I'll be ok in a few minutes. TREMORS: You are expecting me to shake. Maybe I do, maybe I don't. Medicine today takes care of the tremors. If my hands, feet, or head are shaky, ignore it. I'll sit on my hands, or put them in my pockets. Treat me as you always have. What's a little shakiness between friends. MY FACE: You think you don't entertain me any more because I am not grinning or laughing. If I appear to stare at you, or have a wooden expression, thats the Parkinson's. I hear you, I have the same intelligence, It just isn't easy to show facial expression. If swallowing, I may drool. This bothers me, so I will mop it up. STIFFNESS: We are ready to go somewhere and I get up. I can hardly move. Maybe my medicine is wearinf off. The stiffness or rigidity is part of Parkinson's. Let me take my time, keep talking. EXERCISE: I need to walk each day. Two to three miles is good. Walk with me. Company makes walking fun. It may be a slow walk, but I'll get there. Remind me if I slump or stoop,I don't always know I am doing this. My stretching, bending exercises must be done every day. Help me with them if you can. and speak for myself. I'm still there, My minds okay. Since I'm slower in movement, My thoughts are slower too. I want to be part of the conversation. It's not easy to talk about Parkinson's but I'll try if you really want to know. I want to continue to be part of life. PLEASE REMAIN BY MY SIDE. Well put Katie. Your description of how PD impact on our lives rings so true. It came unbidden to my happy life. Here to stay, to bring me pain and strife. Makes me sometimes slow, unsteady and distraught. I wish this pest would leave, just go..
to blight my life thats its intent. It wants a fight and I'll not give in. Life is sweet, no matter what, and I'll be contented with my lot. I may bow and bend, but I will be....Mistress of my destiny! However as i sit here i cannot think of a word to say..
then maybe someone out there will take pity and post back. What must one write, what do they have to do? About their life. That sorta could be you. Sing an old song and fill a room with smiles. Share (Sounds Like Em) over all the miles. Nobody is about to chop you. You got the talent, got the words, got the tools. Wow, maybe that could be you. Sense the warmth and kindness. Even know the pain? The way you do, All fears, like a warm summer's rain. Of your words that get in my head and stick.